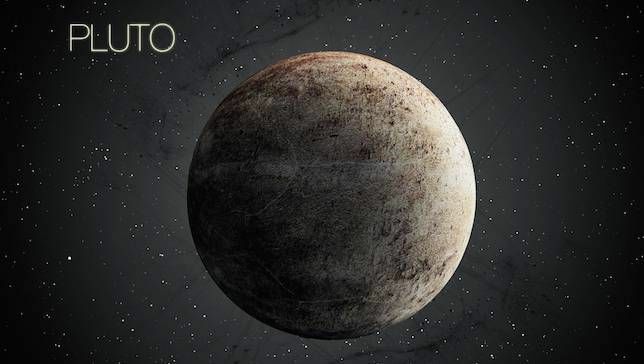 (P1) Pluto is a dwarf planet at the end of the solar system, and an astronomer discovered it in 1930. (P2) However, Pluto remained a mystery for decades because it is 7.2 billion kilometers from the earth. That was, until last week when a NASA probe flew by the planet. It took great images. You can see even structures smaller than a mile across. (P3) The following video shows an animation of Pluto’s images throughout history. You can see a great difference between the first and the last pictures. Do you like to learn about the solar system? Why or why not? Do you think someday people will live on another planet? Why or why not? Can astronomers learn a lot from other planets? Why or why not? When did astronomers learn about Pluto? How far away from Earth is Pluto? Which organization took photos of Pluto?